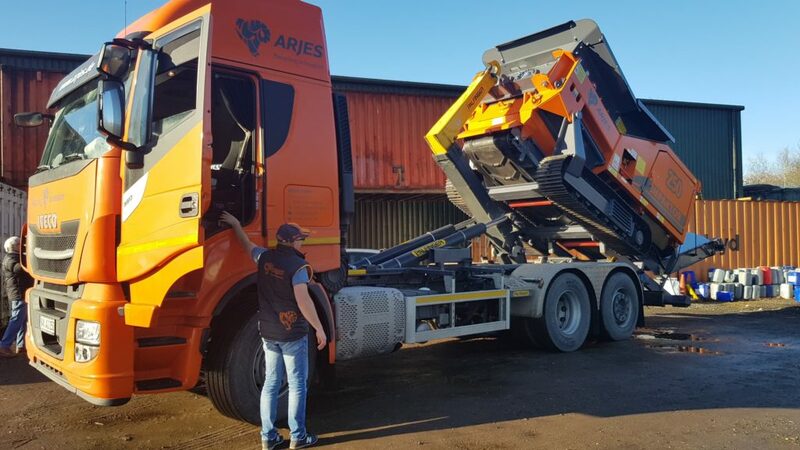 The first Arjes VZ950DK TITAN being delivered to a customer for shredding bulky waste. 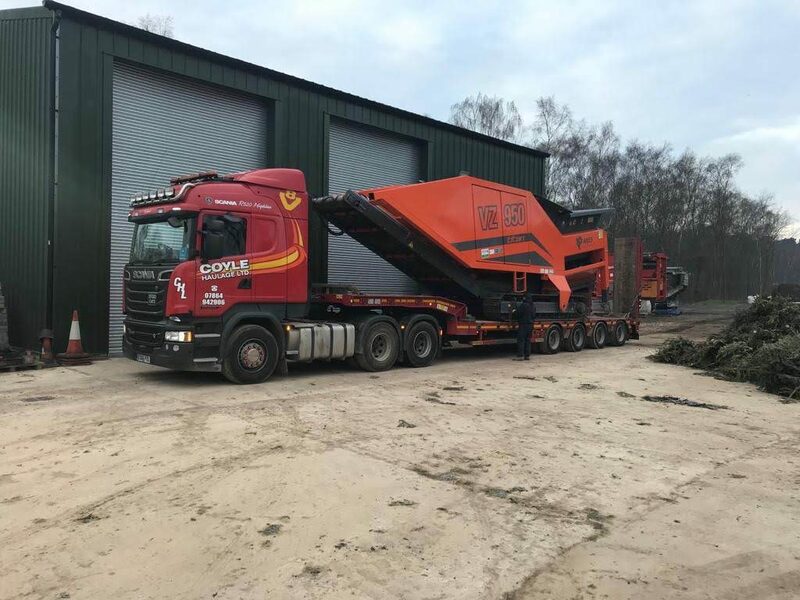 This machine will be tested on continuous running 20 hours per day 7 days a week for 8 weeks shredding bulky waste, mattress and carpets for RDF. 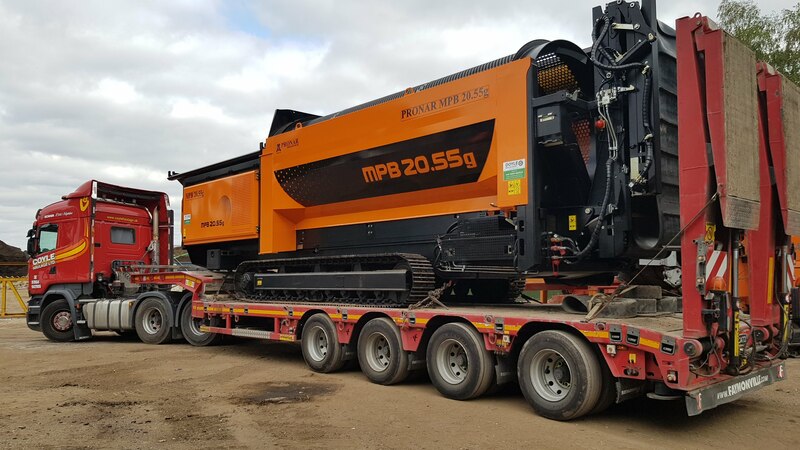 Delivery taking place of the first new PRONAR MPB 20.55 Tracked Trommel this week.